It’s bit hard to find the review WordPress themes, that suits all your needs. It takes a lot of time and efforts to go to different websites and research for the themes. So, here is the list of all the feature-oriented best Premium WordPress theme for a review site. WordPress offers dozens of review site which include all the desired features for a reviews website and guarantee a functional website without ever touching the code. Since, Review sites are popular among affiliate marketers, some leading WordPress theme developers are adding review feature in their products these days as it works as additional marketing aspect for their product because it adds value to any theme. All these themes has huge range of features and styles available, so you can use these themes for any niche. Here, I’ve collected some of the 10+ Best Premium Review WordPress Themes that are perfect for building perfect review websites. Let’s dig into these lovely themes. Reviews is a responsive, modern and flexible Review WordPress Theme. The theme is a complete system for reviewing products and services. With this theme you can create as many reviews as you want and to do make grades for as many criteria as you like. The theme is fully re sponsive and includes lots of important features. Reviewer is a responsive, elegant premium WordPress theme. The theme is specially crafted to built for one purpose: writing reviews. Reviewer can handle, whether it’s reviews for movies or TV shows. Gauge is a powerful review WordPress theme. The theme allows you to create extensive reviews for any kind of content including games, movies, food etc. The theme allows you to create extensive reviews for any kind of content including games, movies, food etc. Also, the theme can be reviewed by both admins and users and this all comes packaged in a fully responsive, clean and modern design. Swagger is the first-of-it’s-kind magazine style premium WordPress theme. The theme allows you to create unlimited custom review “mini-sites” within your main website (works for non-review sites just as well as review sites!). It has front page will grab content from your mini-sites and display it all together in an awesome, content-rich page to give your users the best user experience possible. Valenti is a feature-rich WordPress premium HD (retina-ready) review magazine theme that is fully-responsive. The theme is powerful and integrated reviews system and widget, you can use Valenti fully as a review theme too. It comes with a unique megamenu system for beautiful drop down menus and also the ability to set the featured image of a post to have a parallax effect. Huber is a modern multi-purpose review WordPress Theme. The theme allows you to create a powerful and interactive review site. It has the edge over other review themes because of its unique and powerful hub system. DeliPress is a responsive, flexible WordPress theme for Magazine and Review website. It work well with all desktop and mobile devices and has ton of built-in features. The theme gain access to lifetime updates at no extra cost. PenNews is a super flexible and powerful WordPress Theme which is designed PenciDesign. It helps you create a new site in such short time by drag & drop with great designs. VMagazine is an outstanding premium WordPress theme. The theme comes with powerful features and functionalities. The theme is designed beautifully by professionals with great focus for best usability and user experience. It has six clean and modern pre-designed demos that can be imported easily with just a click. The headers, colors, pages, fonts matched perfectly to meet your preference. The Voux is a responsive WordPress theme which is designed with absolute attention to detail. The theme has beautifully crafted homepage styles to get you up and running quickly, with no coding to do. It is fully Responsive for today ’s devices and will scale with pixel perfection even on Retina Ready Screens. Herald is yet another responsive WordPress theme. The theme helps you to present your articles in any way you want, it offers more than 500 post layout combination. It is super easy-to-use, even you are non-coder you can design a perfect website with an ease. 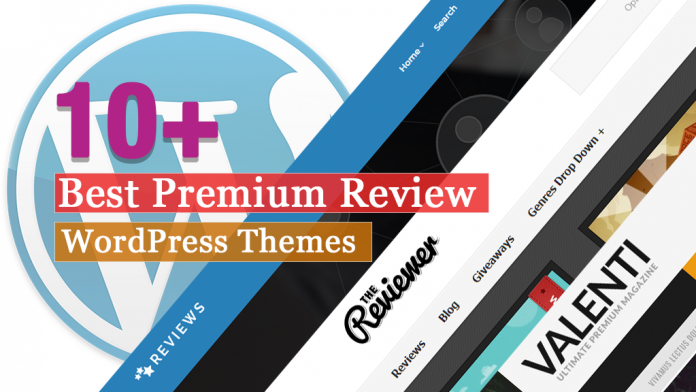 In this article, you can find some of the Best premium Review WordPress Themes that come with many useful and powerful features. And also includes a beautiful design that helps to attract the numbers of customers to your site easily. Next articleHow to Optimize Your WordPress Site Robots.txt for SEO?